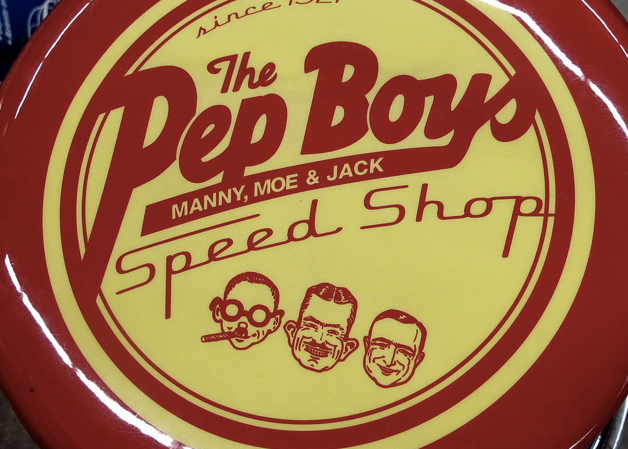 Have we seen the last of Moe, Manny, and Jack – you know, the faces of the Pep Boys auto parts brand? It’s possible as the retail chain has agreed to be acquired by tire giant Bridgestone for $835 million. Bridgestone announced today that it will add the 800 Pep Boys retail locations to the 2,200 tire and car service centers it already operates in the U.S.
“Bridgestone and Pep Boys are two leading companies that share a proud heritage in the American automotive services industry,” Gary Garfield, CEO and President of Bridgestone Americas, said in a statement. The purchase of Philadelphia-based Pep Boys, which was founded in 1921, adds roughly 7,500 service bays in 35 states to the Bridgestone line-up. Bridgestone currently operates retail locations under the Firestone Complete Auto Care, Tires Plus, Hibdon Tires Plus and Wheel Works brand banners. The deal is expected to close next year, pending approval from Pep Boys shareholders and regulators. “We are excited to join the Bridgestone family of companies to become part of the world’s largest company-owned tire and automotive service retail network,” Scott P. Sider, the Pep Boys CEO, said in a statement.